This 50s Diamond Top in Red is the ultimate retro basic and a real must for your wardrobe! Plain but sassy... the gorgeous diamond shaped neckline with pleats at the bust creates a vavavoom effect to every outfit! 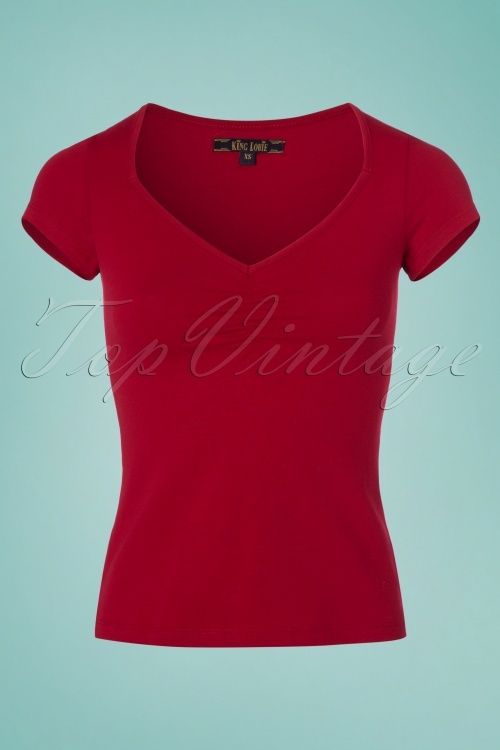 Made from a soft and stretchy deep red cotton blend for a beautiful fit. Create 1001 looks with this perfect basic!